CENTRA AVENUE HOTEL PATTAYA, a new addition to this popular beach resort, is now offering online bookings through the dedicated Centara website. Management of the hotel is guaranteeing that guests using the service will always find the best possible rates available on the Internet. “Travellers booking their own accommodation via our website will always enjoy the best prices, including introductory rates, when they come and stay at this beautiful new property. In fact, it is included within our Best Rate Guarantee program,” says Chris Bailey, senior vice president for sales and marketing at Centara Hotels & Resorts. The Best Rate Guarantee program, identified on the website with the BRG logo, ensures that anyone booking accommodation at Centara properties in Thailand or overseas will always receive the very best rates on the internet. If any evidence is later found of cheaper rates being offered elsewhere, then Centara has a policy of reimbursing guests the price difference. 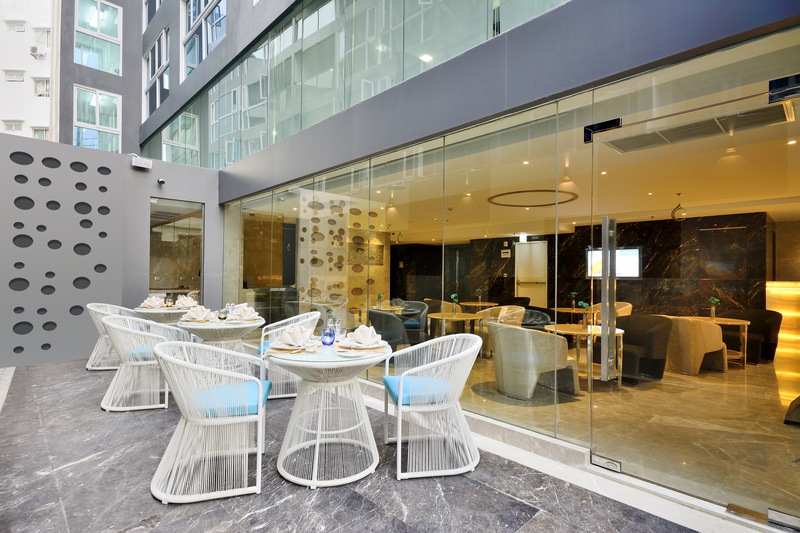 The 4-star Centra Avenue Hotel Pattaya is spread out across eight floors, all in one building. Its 51 rooms, all with king and queen beds, offer a city view, easily accessed from the hotel’s central location close to Centara Avenue Hotel Pattaya a and adjoining shopping centres, as well as Pattaya’s famous nightlife.